So you are likely getting tired of hearing all these great reviews for our presenters in every new blog I write, but I just love these reactions and I have to share them with you. I promise to try and come up with something different next time! However, I just could not sit still on this! Dave Mitchell is our multitalented performer of Ben Franklin and also Imathimation and Reading! More Than Words! 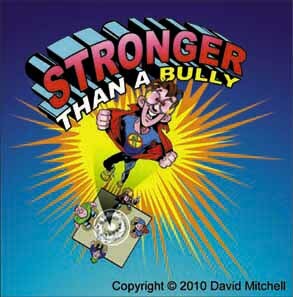 This year, of course, he added to his repertoire with the stunning new anti-bullying school show Stronger Than a Bully. Well, Dave has spent the last few weeks out East and has just returned to Ohio to visit some schools this week, and the reviews are streaming in! I just had to take a few minutes to tell you how great David Mitchell did with our bullying assembly. He did one for the younger students which went well and he held their attention for the whole time. Incorporating his magic and ventriloquism into his program brought the message to life. I was expecting most of the same for the second group, but was very surprised. The message being the same, he took the older students in another direction, making it very relevant to these ages. He not only entertained the students with his puppetry and magic, but brought the message to the students with real life information and seriousness. His story at the end of the program along with his poem mesmerized the entire group of 3rd, 4th, and 5th graders. After 50 minutes of sitting on the floor, you could have heard a pin drop and students did not shift around waiting for it to be over. I thought David's Ben Franklin program was probably the best I would see, but he topped that today with his presentation to the upper students. Well, our thanks to all three of these gentlemen, and we are so pleased that your kids enjoyed the program and that we were able to bring Dave to your schools. Bullying is, of course, a huge problem in schools today and a problem which, thankfully, is being addressed in many places. We are pleased to be able to make our contribution to this important effort, and especially through the actions and talents of such a wonderful fellow as Dave Mitchell. By the way, his other programs are also totally awesome! Personally, we especially like his super Ben Franklin! But if you are thinking of bringing him to your school, you had better get in line! In most areas of the country (though not quite all) his tour for this school year is totally sold out. If you are interested, now is the time to get your school onto our waiting list for next year. The list is growing daily and at this rate by the time we start scheduling for 2012-2013 in March of 2012, Dave’s schedule for next year may already be full! Geoff Beauchamp is the Regional Manager of Mobile Ed Productions where "Education Through Entertainment" has been the guiding principal since 1979. Mobile Ed Productions produces and markets quality educational school assembly programs in the fields of science, history, writing, astronomy, natural science, mathematics, character issues and a variety of other curriculum based areas. In addition, Mr. Beauchamp is a professional actor with 30 years of experience in film, television and on stage. He created and still performs occasionally in Mobile Ed's THE LIVING LINCOLN. 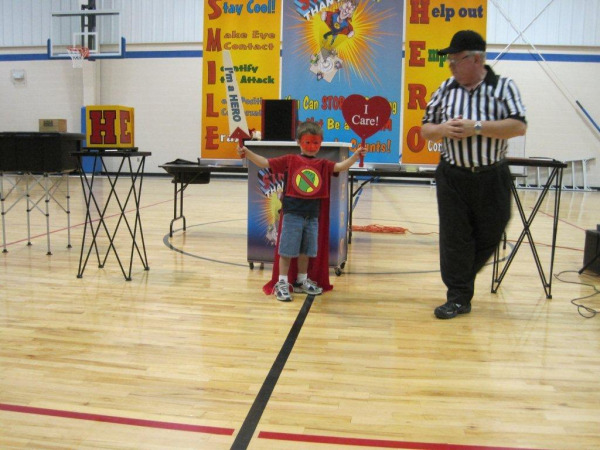 Learn more about our Assembly Programs!